In my classroom I have a small dog lot. The dogs are 7″ long and come in shades of gray and black with white markings. Each one has its own little house. 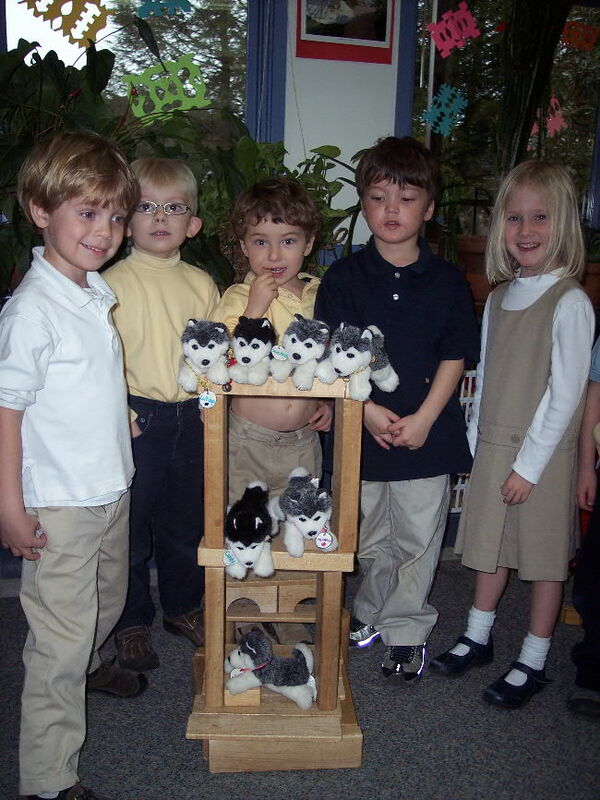 These miniature Alaskan huskies are gifts to my pre-kindergarten students from their fourth grade buddies. The dogs are cute and cuddly and serve as an amazing catalyst to bond the buddies. But after this initial bonding, do they serve any purpose in the classroom other than a toy?